If you’ve been following Margaret’s blogs, you’ve known this moment was coming. So stop what you’re doing, put down your pens and pencils, and open up your internet browsers, folks, because Season 5 is here! It’s been an admittedly long wait. Season 5 represents photos from June – December 2012. 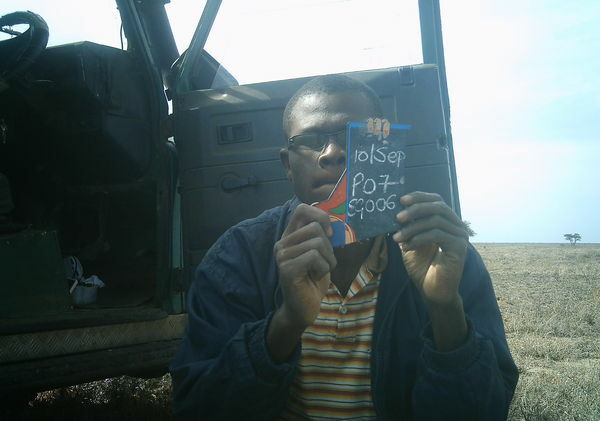 During those six months I was back here in Minnesota, working with Margaret and the amazing team at Zooniverse to launch Snapshot Serengeti; meanwhile, in Serengeti, Stanslaus Mwampeta was working hard to keep the camera trap survey going. 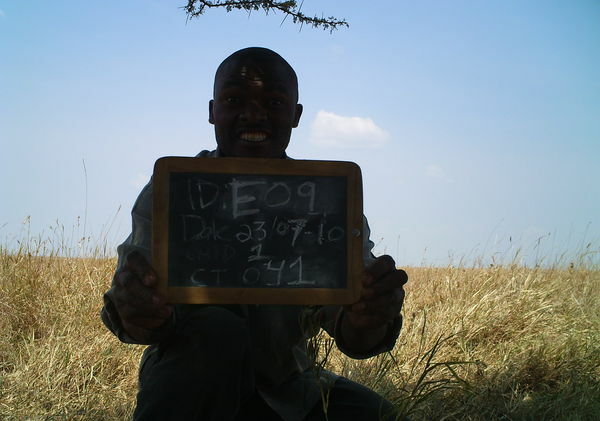 I mailed the Season 5 photos back as soon as possible after returning to Serengeti – but the vagaries of cross-continental postal service were against us, and it took nearly 5 months to get these images from Serengeti to Minnesota, where they could be prepped for the Snapshot interface. So now that you’ve finally kicked the habit, get ready to dive back in. As with Season 4, the photos in Season 5 have never been seen before. Your eyes are the first. And you might see some really exciting things. For starters, you won’t see as many wildebeest. By now, they’ve moved back to the north – northern Serengeti as well as Kenya’s Masaai Mara – where more frequent rains keep the grass long and lush year-round. Here, June marks the onslaught of the dry season. From June through October, if not later, everything is covered in a relentless layer of dust. After three months without a drop of rain, we start to wonder if the water in our six 3,000 liter tanks will last us another two months. We ration laundry to one dusty load a week, and showers to every few field days. We’ve always made it through so far, but sometimes barely…and often rather smelly. But most excitingly, you might see African wild dogs. Also known as the Cape hunting dog or painted hunting dog, these canines disappeared from Serengeti in the early 1990’s. While various factors may have contributed to their decline, wild dog populations have lurked just outside the Serengeti, in multi-use protected areas (e.g. with people, cows, and few lions) for at least 10 years. Many researchers suspect that wild dogs have failed to recolonize their previous home-ranges inside the park because lion populations have nearly tripled – and as you saw in “Big, Mean, & Nasty”, lions do not make living easy for African wild dogs. Nonetheless, the Tanzanian government has initiated a wild dog relocation program that hopes to bring wild dogs back to Serengeti, where they thrived several decades ago. 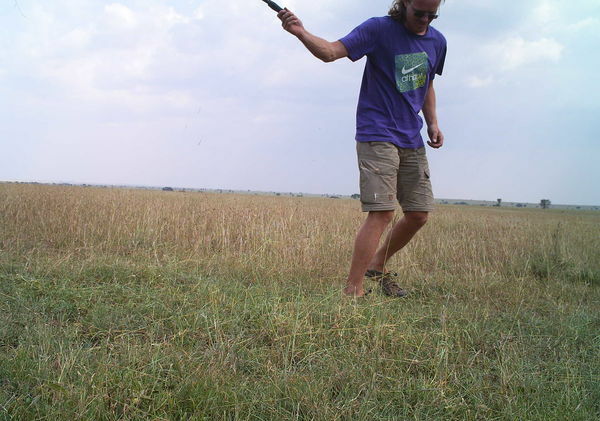 In August 2012, and again in December, the Serengeti National Park authorities released a total of 29 wild dogs in the western corridor of the park. While the release area is well outside of the camera survey area, rumor has it that the dogs booked it across the park, through the camera survey, on their journey to the hills of Loliondo. Only a handful of people have seen these newly released dogs in person, but it’s possible they’ve been caught on camera. So keep your eyes peeled! 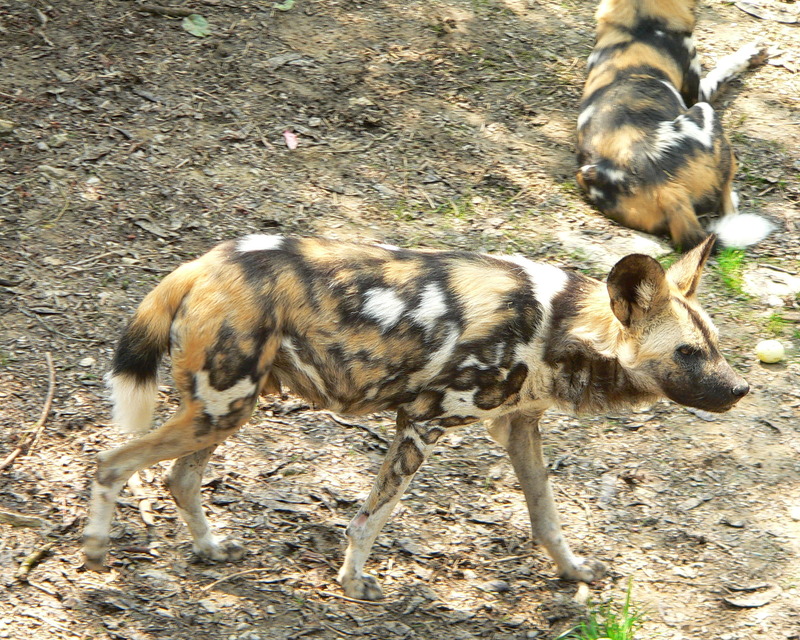 And if you see something that might be a wild dog, please tag it with #wild-dog!! Happy hunting! …watch this space later today.